Oldenburg Premium colt by FIDERTANZ (Fidermark/Ravallo/Fruelingstraum II) out of REGALA (Regazzoni/Erhentusch/Admiral I). Born on June 22, 2011. Liver chestnut. Since a very young age, Gaby has displayed a willingness to please and an ability to learn easily and quickly due to his exceptional disposition! 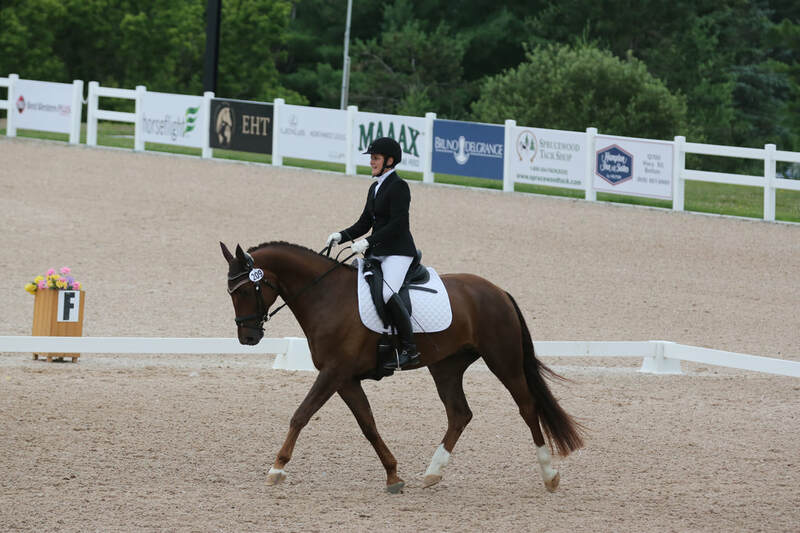 Frangelico now shares his life and talent with his proud new owner, Sherri Finlayson, at his beautiful new home, Stonecreek Farm in Gananoque, Ontario. 2017 show season saw us compete at first level successfully with scores in the mid to high 60's. In addition to his own success in sport, Fidertanz-offspring have been sold for top prices at the auctions. He presented the winning colt at the German Foal Championships in 2008, and Fifty-Fifty, one of his daughters, was highly placed in Lienen in 2007. At the age of three, Fifty-Fifty became the Brilliant Ring Champion of the Elite Oldenburg Mare Show in Rastede. More than 30 Fidertanz-sons have been licensed, among them the North Rhine-Westphalian Champion Stallion and competitor at the Bundeschampionate, Flanagan, as well as the 330,000 Europ top-priced auction horse, Feuerspiel. 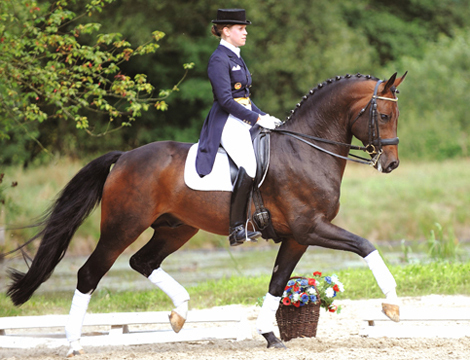 Many offspring placed in finals of the Bundeschampionate, among them Fairytaile who qualified for the German team for the 2011 FEI Dressage Horse World Championships. 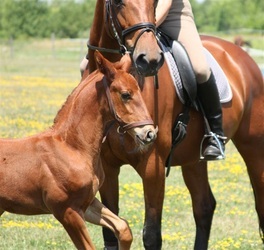 More than 100 Fidertanz-offspring from his first crop of foals earned successes in riding and dressage horse ability competitions. 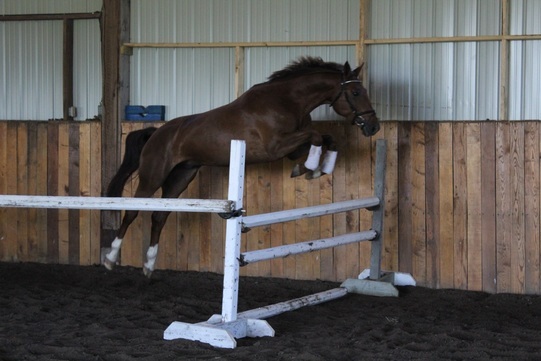 Fidertanz is by Fidermark I, who was the winner of his stallion performance test, a Bundeschampion, and developed into a Grand Prix winner who left the breeding stage at an early age. 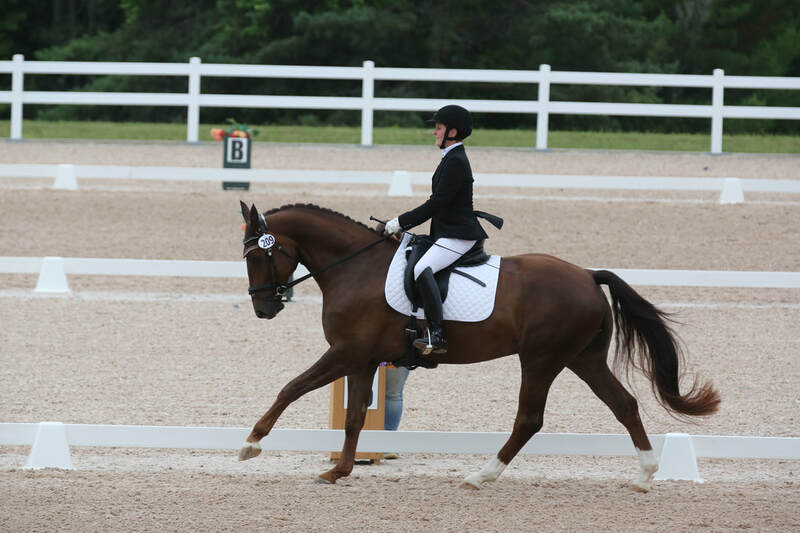 Grandsire, Ravallo, also won his performance test with an index of 155 (dressage 157.52 – 1st place, jumping 127.5 – 5th place).Frühlingstraum II is deemed one of the pillars of Wesphalian breeding and through Romadour II, Fidermark is inbred three times to founding stallion, Ramzes x. Fidertanz's dam, granddam and great granddam were State Premium mares and competed in final rings. This dam line of Astfläche has produced numerous licensed sons and many of their offspring are successful up to advanced level in sport. 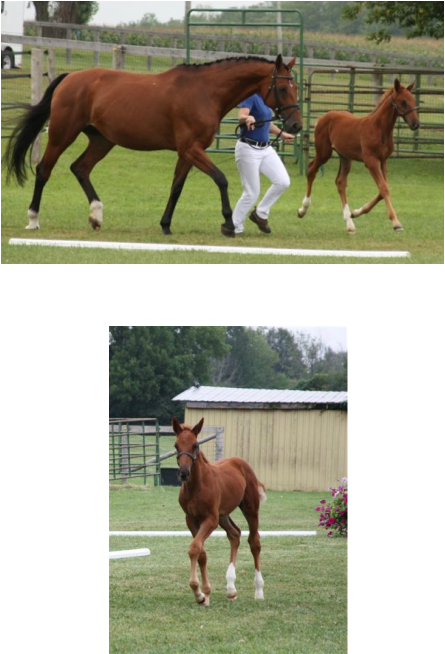 On August 16, 2011, Frangelico and his mom went to Rideauwood Farm in Merrickville to be presented at the annual Oldenburg Horse Breeder Society's mare approval and foal inspection and registration. Frangelico was awarded a Premium status!